Circus Circus has been a fixture on the Las Vegas strip since its opening in 1968. Home of the world’s largest permanent big top, the resort casino is one of the more family-friendly Las Vegas destinations. Circus Circus is centered around its Adventuredome, a 5-acre indoor theme park, complete with roller coasters and family activities. One of the resort’s newest additions is The Chuck Jones Experience. BrightSign’s digital media players prominently throughout this interactive, multimedia attraction that showcases some of Chuck Jones’ most recognizable characters including Marvin the Martian, Pepe LePew, the Road Runner and Wile E. Coyote. Competition in Las Vegas is fierce. Hotels are reincarnated or built new nearly every year, and the resorts over a seemingly endless array of attractions to entice patrons. One of Circus Circus Resort’s key advantages over other resorts on the strip is its appeal to families, especially those traveling with children. The Chuck Jones Experience further plays to that advantage, using state of the art digital technology, installation and design to create an interactive attraction that offers an entertaining look at the life of one of the world’s foremost animators and cartoon artists of all time – Chuck Jones. The Chuck Jones Experience is an immersive experience for all ages that transports visitors back to the 1930’s through a series of exhibits that chronicle the life and times of Chuck Jones. 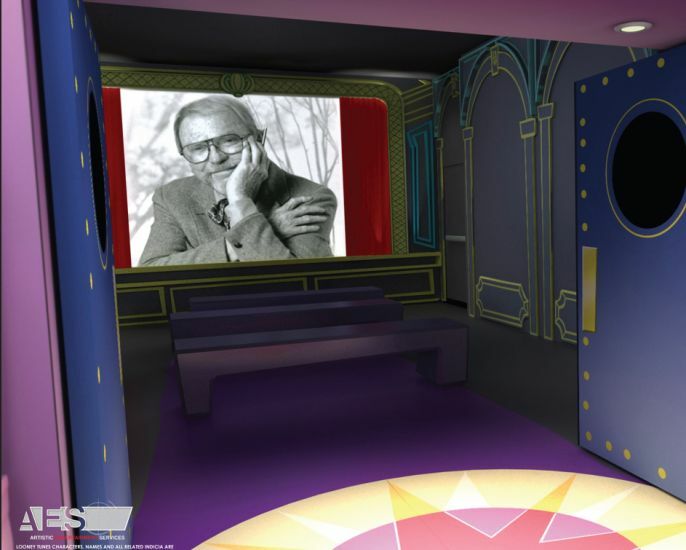 Visitors first have an opportunity to learn more about Chuck Jones through a short film presented in a cleverly designed “movie theater.” From there, the exhibit leads them through Animation Alley into art exhibits from the permanent collection of the Chuck Jones Center for Creativity. In the Acme Workshop, visitors have the opportunity to work the Foley station where they can contribute sound effects to a film, do voice-over work and learn to ink and paint real animation cels. All told, The Chuck Jones Experience incorporates more than 30 BrightSign players, distributed in multiple zones within the 10,000 square foot facility. Visitors are greeted at the entrance with screens looping informational content about the exhibit. Inside the hall, one wall features a dramatic installation that includes 15 different-sized screens capable of either displaying separate content, or tiling together to showcase integrated content that spans the entire layout. The Chuck Jones Experience opened to the public in January 2012 to rave reviews. Most notably, it was recently heralded by CNN as #3 of the 9 New Reasons to Visit Las Vegas this Year. The Chuck Jones Experience attracts a steady flow of people eager to learn more about the father of some of the most iconic cartoon characters.